10. DRUGS. No, not crack. I'm talking Cipro, Pepto, Excedrin, and Benadryl for when different parts of my body decide to rebel against my current location. Oh, and Malarone. Because it's all fun and games until you catch malaria, and then it's just fun. 11. Wine and pantyliners for our hosts in India. That's right, wine and pantyliners. 12. My Embrace Sleep Collar. This thing beats the pants off of every neck pillow I've ever used. 14. An extra backpack that folds down to freakin' nothing. 15. Toilet paper. We live in relative luxury and always have it provided for us here in the good ol' western world. Not so much in other places, like, well, everywhere I'm going. 17. A sarong. 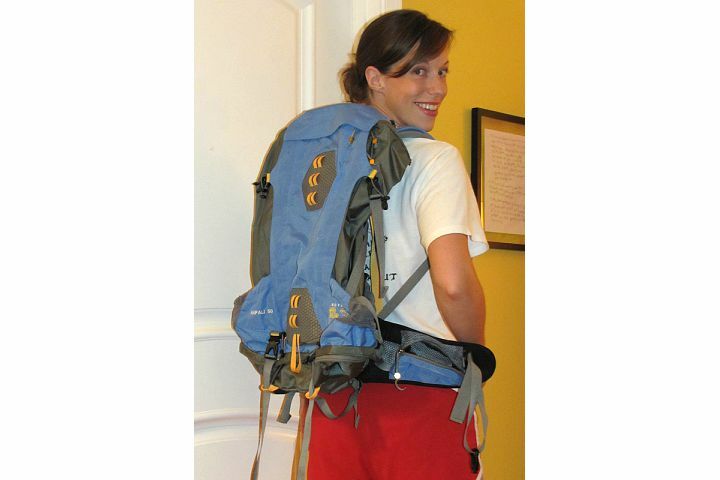 The single most versatile thing you could ever pack. It's a blanket! It's a skirt! It's a dress! It's a towel! 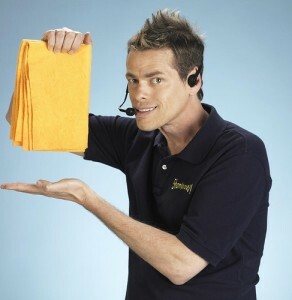 Take that, Shamwow. So other than the obvious basics like toiletries, a camera, and a swimsuit, that's all, folks. And it's all going in that blue bag - except for the wine, which I will actually check in a small bag and pray to the airline gods that it makes it to the other side of the world. Now all I have to do is throw everything in the bag and go!